Anemia is a serious condition in which the body does not have enough healthy red blood cells for carrying oxygen to different tissues. Many functions and organs are strongly affected if the tissues do not get enough oxygen. Anemia during pregnancy is quite a concern as it can result in maternal mortality, premature birth and low birth weight. Pregnant women are always at an increased risk of suffering from anemia. This is due to the fact that the body of a pregnant woman produces blood in excessive amounts for providing the required nutrients to the baby. This condition might be dangerous both for the baby and the mother and therefore it requires immediate treatment. 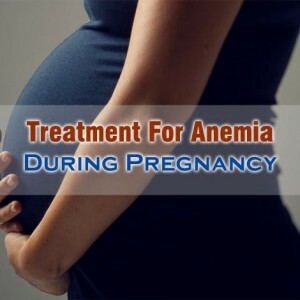 There are several options for Treatment for Anemia during Pregnancy, which are safe and effective. The best treatment for anemia during pregnancy is adding vitamin or iron supplements to the daily routine of a pregnant woman. Typically, this is the only thing that is required for reversing the dangerous effects of this disease. However, there are severe cases of anemia where pregnant women might need blood transfusion. This is something that requires proper discussions with the doctor as to what supplements might be necessary for a pregnant women who needs blood transfusion. Proper nutrition is also instrumental in preventing anemia in pregnant women. Foods rich in their content of iron like fish, poultry and lean meat can be included in the daily diet of a pregnant woman. Vegetables, beans and iron-fortified breakfast cereals are other options. There is no other specific treatment for anemia in pregnant women except the intake of prenatal vitamins coupled with proper nutrition. Gynecologists generally refer their patients to hematologists specializing in blood issues and anemia. These are specialists who see through an anemic woman throughout her pregnancy and help in the management of anemia.